To be fair, the Briton told reporters on Friday that he plans to retire after this year's Wimbledon, but the Australian Open could be the final tournament of his career. Fast-forward to Monday and the Scot is telling the world he isn't done just yet. Immediately after his first-round defeat by Roberto Bautista Agut, Murray told Mark Petchey - the on-court interviewer and Murray's first professional coach - "If this was my last match, it was an amazing way to end." "Maybe I'll see you again. I'll do everything possible to try," he continued. "If I want to go again, I'll need to have a big operation, which there's no guarantee I'll be able to come back from anyway, but I'll give it my best shot." They had compiled and planned to run a heartfelt and emotional VT, featuring tear-jerking 'congratulations on your retirement' messages from Rafael Nadal, Caroline Wozniacki, Novak Djokovic and other top players. 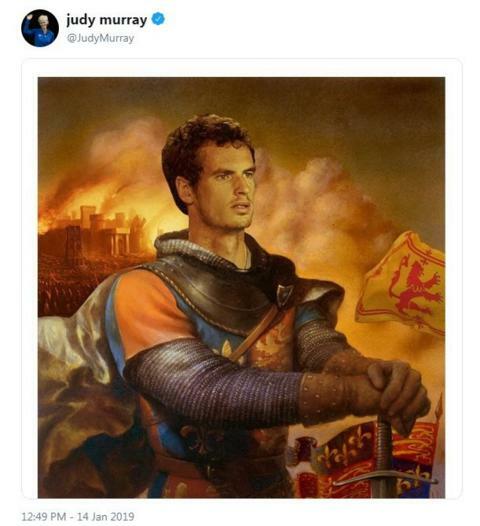 Given the effort the organisers had gone to, they decided to go ahead and play it, in spite of what Murray had just said. We all knew Murray has a decent sense of humour, but can his fans handle this kind of emotional rollercoaster? Surely they should be used to it by now? Murray's dilemma: Have another hip operation or retire after Wimbledon? Read more on Andy Murray: Another hip operation or retire after Wimbledon?